There are a number of artifacts related to Biblical archaeology in museums across the world. One of these museums is the Bible Lands Museum Jerusalem. Located in Jerusalem’s Givat Ram neighborhood, the Bible Lands Museum Jerusalem houses one of the world’s most important collections of Biblical artifacts. The collection was begun by the late Elie Borowski in 1943 and first opened to the public in 1992. The thousands of artifacts provide an informative introduction to the peoples and places of the Bible. One can spend days exploring the cultures of the Israelites, the Arameans, the Philistines, the Egyptians, the Assyrians, the Persians and many more in great detail. Biblical quotes are located throughout the galleries to place the Bible in its historical context. The museum also has special exhibitions, such as By the Rivers of Babylon, which focused on one of the most significant events in the history of the Jewish people—the Babylonian Exile. Below are 10 of the museum’s many wonderful Biblical artifacts, listed in no particular order. Click on the images to enlarge them. This limestone inscription from a burial cave in Judah c. 800–750 B.C.E. is written in Paleo-Hebrew script and reads “Cursed be Hagaf son of Hagab by Yahweh Ṣebaot.” The phrase Yahweh Ṣebaot, often translated as “Lord of Hosts,” appears over two hundred times in the Hebrew Bible, especially in prophetic books such as Isaiah and Jeremiah. The museum’s inscription is perhaps the earliest non-Biblical evidence for this name. The name Hagab, which means “grasshopper,” also appears in Ezra 2:46. Stone block bearing invocation of a curse by Yhwh, Lord of Hosts (BLMJ 4663). Photo: BLMJ Collection. This Akkadian tablet, which contains over 630 lines, comes from the southern Mesopotamian city of Larsa during the second year of King Rim-Sîn’s reign, c. 1821 B.C.E. The tablet registers the rites performed in Larsa’s many temples from the fifteenth until the twenty-fourth day of the month of Shabaṭu, the month identical to the Biblical month of Shebat (Zechariah 1:7). This one-of-a-kind tablet sheds light on the practices of the region from where Abraham is said to have come. For example, on the sixteenth day of the month of Shabaṭu, a cloak, a bright linen and a male slave were given to Enki, the god of wisdom and the creator of humankind. Cuneiform tablet recording temple service from the fifteenth to the twenty-third day of the month of Shabatu (BLMJ 3127). Photo: Moshe Caine. Darius I of Persia, also known as “Darius the Great,” is mentioned in the Biblical books of Haggai, Zechariah, Malachi, Ezra, Nehemiah and Daniel. 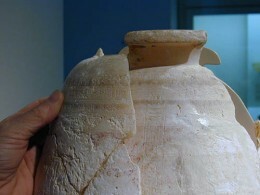 The museum has a Persian calcite jar with four inscriptions that praise Darius in four different languages, one more language than the Rosetta Stone. The Old Persian, Elamite and Akkadian inscriptions read “Darius, great king” and the Egyptian hieroglyphs read “King of Upper and Lower Egypt, lord of the two lands, Darius, living eternally, year 36.” Coincidentally, the 36th year of Darius’s reign (486 B.C.E.) was also his last. Jar with quadrilingual inscription of Darius 1 (BLMJ 1979). Photo: BLMJ Collection. According to Isaiah’s prophecy of peace, “The wolf shall dwell with the lamb, the leopard shall lie down with the kid and the calf and the lion and the fatling [will dwell] together” (11:6). On the museum’s unique serpentinite bowl from southern Mesopotamia c. 3300–2900 B.C.E., lions and calves are depicted lying down peacefully one after the other. The animals are crouched before a bundle of stylized reeds (not shown), much like the reeds carved into a door at the base of the Ziggurat of Anu, one of the oldest and most important Sumerian gods. Bowl decorated with recumbent lions and calves before the symbol of the god An (BLMJ 4564). Photo: David Harris. According to Exodus 25:10–16, the Ark of the Covenant was a rectangular box carried on poles. The museum has a Basalt Relief from Arslan Tash (Northern Syria, ancient Hadatu) from c. 800–750 B.C.E. which depicts two men carrying a rectangular box on poles. Notice the buckets, which are found in a number of Assyrian ritualistic reliefs and suggest that the men might be priests. Two key differences between this image and the Biblical description is that the Bible’s ark had its poles at its base, not its top, and that the Bible’s ark had two poles, not one. Orthostat showing two tribute bearers carrying a container on a pole and buckets in their hands (BLMJ 1111). Photo: David Moster. According to the Bible, cherubs were placed in both the Tabernacle and the Temple (Exodus 37:7–9; 1 Kings 6:23–30). While the descriptions about these creatures are vague, the museum has an ivory Phoenician-style cherub from Arslan Tash (Northern Syria, ancient Hadatu) from c. 850–800 B.C.E. This cherub, which was probably called a kuribu in Akkadian (similar to Hebrew kerub [כרוב]), was most likely used to decorate a chair, perhaps the throne of the Hazael, king of Damascus, who is mentioned in the books of Kings, Chronicles and Amos. Inlay depicting a cherub (BLMJ 3428). Photo: Moshe Caine. This large Roman sarcophagus belonged to a Christian woman named Julia Latronilla, who died in approximately 330 C.E.—shortly after Constantine’s Edict of Toleration, which allowed Christians to worship freely. The sarcophagus depicts a number of Hebrew Bible and New Testament scenes, e.g., Abraham’s near sacrifice of Isaac (Genesis 22), the miracle at Cana where Jesus turned water into wine (John 2:1-11), and Jesus’ triumphal entry into Jerusalem (e.g., Matthew 21:1–11). The circle in the center is one of the earliest known depictions of the christogram, a symbol that combines the first two letters of the Greek name for Christ, chi (X) and rho (P). Sarcophagus of Julia Latronilla (BLMJ 1057). Photo: David Harris. 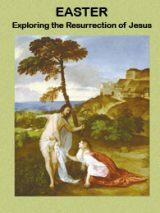 Learn about the earliest image of Jesus on the cross—the staurogram—in Bible History Daily. In 2 Kings 18:18–37, which recounts the events of 701 B.C.E., an Assyrian official called the Rab-Shaqeh (“Chief Cupbearer”) besieges and taunts the people of Jerusalem. The museum has a stele commissioned by a Rab-Shaqeh who served a century and a half before the Bible’s Rab-Shaqeh, approximately 859–825 B.C.E., during the reign of Shalmeneser III. The inscription commemorates this Rab-Shaqeh’s deeds within his province. The image is that of a seated god with a horned helmet and a sun disk. Stela of a Rab-Shaqeh, a cupbearer-In-chief (BLMJ 1066). Photo: M. Amar and M. Greyevsky. 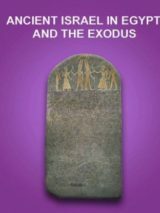 The Nile plays a prominent role in the Hebrew Bible, especially in the Exodus story. The Pharaoh of Joseph dreams of cows at the river (Genesis 41:1–3), baby Moses is placed in a basket at the riverbank (Exodus 2:3) and the first Egyptian plague occurs when the river turns to blood (Exodus 7:15–24). The museum has a model Nile boat made of wood, plaster and linen that comes from the early Middle Kingdom, c. 2000–1900 B.C.E. The boat has a pilot standing on the prow, a steersmen sitting on the stern and eighteen rowers in between. The boat is currently equipped for sailing downstream (north) but would have also had sails to travel upstream (south). Boats such as these were often placed in tombs for the journey of the afterlife. Model boat (BLMJ 2089). Photo: David Harris. A very special thank you to Olla Vengerovsky and the staff of the Bible Lands Museum Jerusalem for their help with this article. This Bible History Daily feature was originally published on January 28, 2015.—Ed. David Z. Moster, PhD, is a Research Fellow in Hebrew Bible at Brooklyn College and a Lecturer in Rabbinics at Nyack College. He is the author of the upcoming book Etrog: How a Chinese Fruit Became a Jewish Symbol (Palgrave Macmillan, 2018). His websites are www.929chapters.com and brooklyn-cuny.academia.edu/DavidMoster. Why is it that even a society built on Biblical Archeology has been infiltrated by Atheists who are trying to erase history? It’s always been BC and AD. My name is Karen Purvis from The Whole Truth Church of Deliverance, located in South Philadelphia. We are located in the Pennsport Mall (corner of Moyamensing Ave. & Moore St.) 3rd & Moore St. You walk through the parking through the black gates into a small private mall. A couple of doors from Gooey Looie’s . I had witness with my own eyes a moving picture in the sanctuary. I have seen a cloud moving on this picture, especially when the Pastor speaks or sings. A moving picture is phenomenon that only God can create. It is a picture that is created, produced, painted, drawn or sculptured by the hand of God. One picture changes so many different times. I have at least six pictures in my camera of this one picture. And each picture is different showing something else. Yet, it is the same one picture, unbelievable, yet it is true! The most shocking thing that I caught, is taking a picture of the same picture now! I saw on the picture what looked like either lambs or lions moving right before my eyes. I got a little video of it before I had to leave out, moving in my camera. I was shocked! One girl told me that she seen wings coming in and out of the top of the picture. There is a big story behind this picture. I took a picture of what suppose to have been the Pastor. And I thought I had seen the sun, a holy light in the center of the picture and it was the Pastor. It looked like she had two wings coming out of her back. And other people had seen various things in the picture like dancing, but I have caught it in my camera. In replacing God’s name with titles, Bible translators make a serious mistake. They make God seem remote and impersonal, whereas the Bible urges humans to cultivate “close friendship with Jehovah.” (Psalm 25:14) Think of a close friend of yours. How close would you really be if you never learned your friend’s name? Similarly, when people are kept in ignorance about God’s name, Jehovah, how can they become truly close to God? Furthermore, when people do not use God’s name, they also lack knowledge of its wonderful meaning. What does the divine name mean? The rings were not on the bottom.